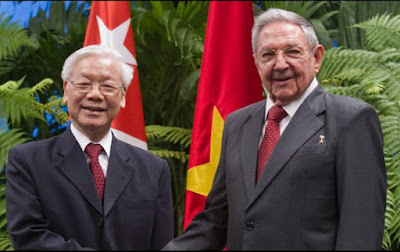 In Defense of Communism: Raúl Castro Ruz: "Eternal gratitude to the people of the Socialist Republic of Vietnam"
Raúl Castro Ruz: "Eternal gratitude to the people of the Socialist Republic of Vietnam"
The close friendship between Cuba and Vietnam has stood the test of time. We have built a solid relationship, forged in the difficult years of the struggle for the liberation of Vietnam. Our peoples, parties, and governments have remained united and share today mutual experiences in the construction of a socialist society that guarantees justice and well-being in both nations. And so it will continue in the future, preserved by the new generations of Cubans and Vietnamese. As early as 1889, our National Hero José Martí characterized the Vietnamese as men and women with huge hearts, whose industriousness, courage, and selflessness transcend the centuries. As chance would have it, May 19 became a shared anniversary. 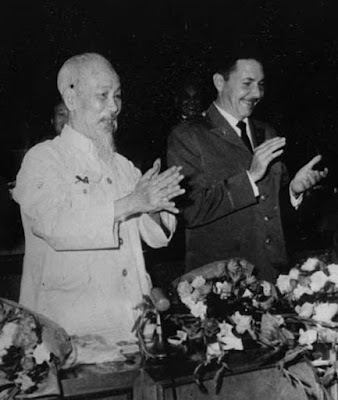 That day in 1895, José Martí fell in combat, and five years earlier, the legendary, exceptional revolutionary Ho Chi Minh was born in a humble village. I remember the emotional encounter I had with him during my visit to his beloved country, in October of 1966; Ho Chi Minh’s heartfelt words of gratitude for the help of Cuba and Fidel; and on the solid foundations on which we forged the bonds that unite us: “... our countries are geographically antipodean, but there is complete identification in the moral sense,” he said. By that time, we had already mobilized to support his struggle for national liberation and the reunification of the country. 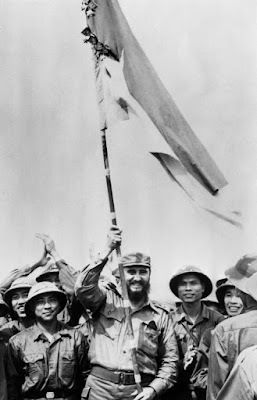 Compañero Fidel often highlighted the colossal feat of the Vietnamese resistance, which should serve as an example; and summarized the internationalist commitment of Cuba in one sentence: For Vietnam we are ready to shed even our own blood! You were an example to those who in all parts of the world fought for their independence and against foreign intervention; you bequeathed the defense doctrine of “war of the entire people,” which guarantees victory over a numerically and technically superior enemy; you also represent constancy and effort in socialist construction. On behalf of our heroic people, and the enduring friendship that unites us; with the memory of Fidel and Ho Chi Minh more alive than ever, I accept the honorable Gold Star Order. To the people, the Communist Party and the Government of the Socialist Republic of Vietnam, our eternal gratitude. Raul Castro with Ho Chi Minh in Hanoi.